The articulated tug Michigan and its permanent tow the petroleum tanker barge Great Lakes are in Toledo, Ohio on June 24, 2007. 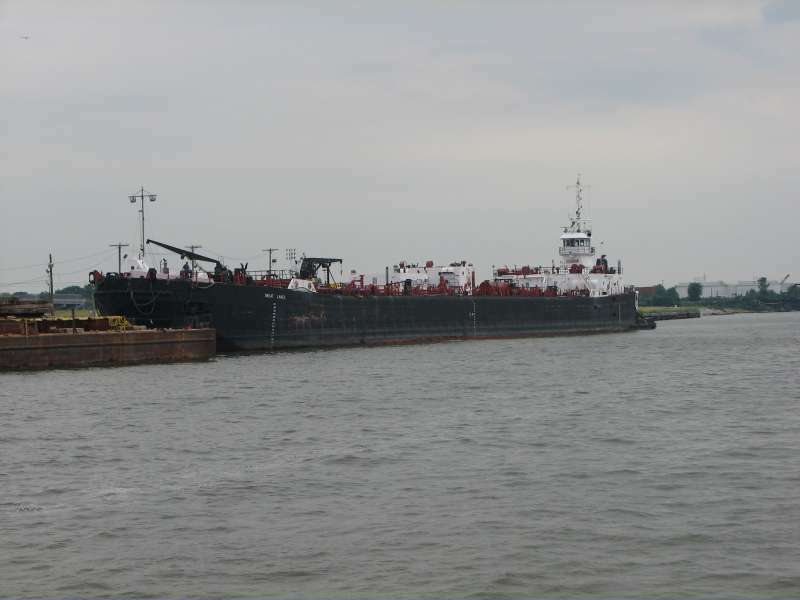 The barge Great Lakes is 414 feet long, with a breadth of 60 feet and a draft of 30 feet. It was built at the same time and shipyard as the Michigan and from 1982-1985 was named Amoco Great Lakes. This articulated tug was built in 1982 by Bay Shipbuilding Co. of Sturgeon Bay, Wisconsin (U.S.) and is currently owned by Keystone Great Lakes, Inc of Bala Cynwyd, Pennsylvania (U.S.). Together the Great Lakes and Michigan are 454 feet long. This photo has been shown 2,178 times since it was added to the site.